Steward Kharpuri is a Team Leader in the Finance Department of Chillibreeze, handling invoices, maintaining internal accounts, tracking Provident Fund, Employee State Insurance related payments and disbursements; taking care of Bank accounts; ensuring timely payment of mandatory corporate taxes and so on. Luck and Divine Grace could have had a hand in Steward getting the job but what has brought him to the place he is in now? A place where he is shouldering important responsibilities with confidence? Will it not be interesting to find out? 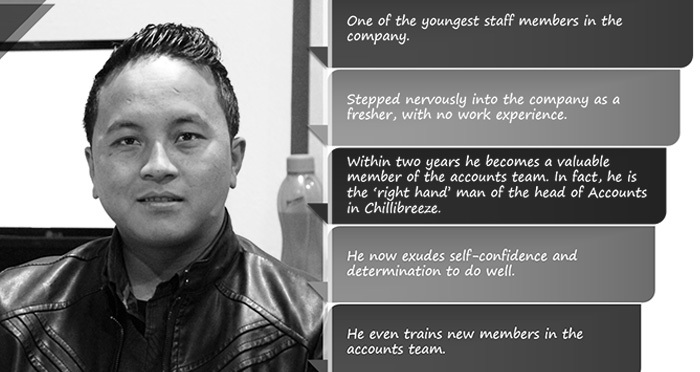 Here is what we gathered after a talk with him: A Commerce graduate from St. Anthony’s College, Shillong, Steward got the opportunity to join as a trainee in Chillibreeze even while he was waiting for his B.Com results. That was in May 2012. 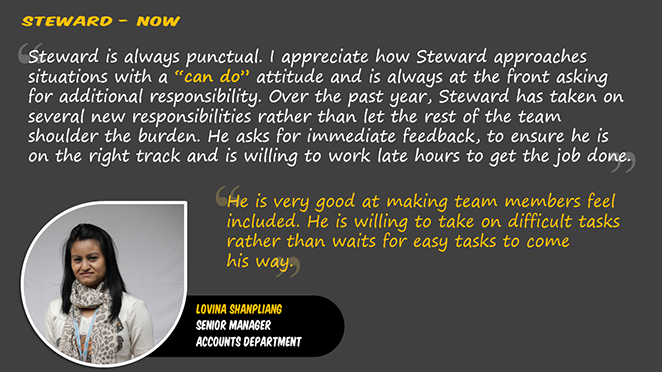 Within a year he proved himself to be a valuable member of the Finance team. There was something inherent in Steward which bloomed in the environment that Chillibreeze provided him. 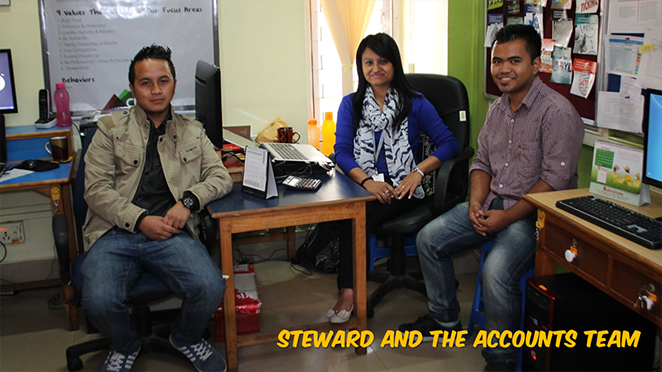 Steward was born and raised in Shillong, a city he loves. He belongs to a small, close-knit, family comprising his parents and a younger brother who is in high school. His father works in the Police Department in the Govt. of Meghalaya. 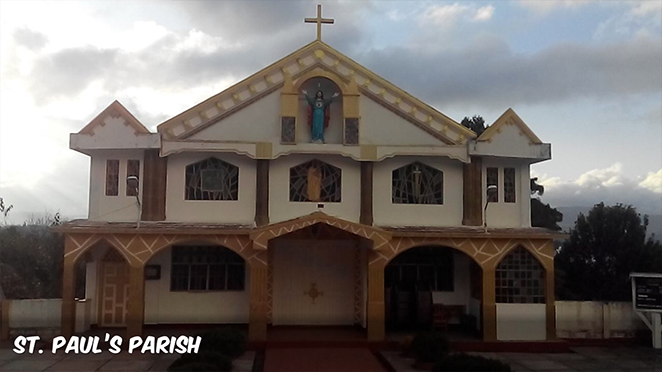 They rarely miss Sunday service at St. Paul’s Parish in Upper Shillong. Like many in Shillong Steward too loves Football. He is a Manchester United fan! Time permitting he plays football on Sundays, after Church. Hard work does not mean we do not have fun! 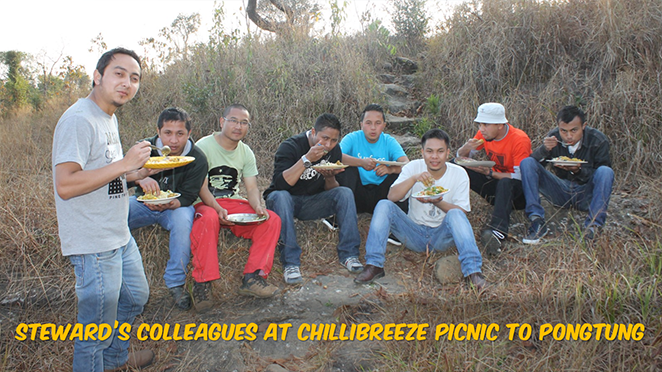 “Here in Chillibreeze, everyone likes to joke—everyone is fun loving. This may seem hard to believe as the impression is that we are working all the time! We work hard does not mean we do not have fun. There is a lot of camaraderie amongst the staff too. We enjoy the time we spend together during lunch time. 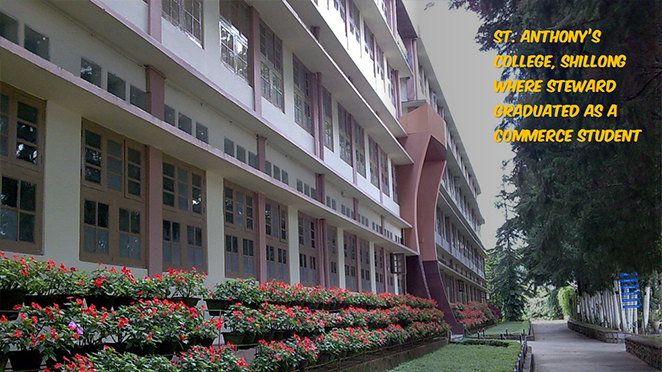 And, the HR department periodically organizes group activities, picnics, trekking trips, and games. We look forward to these and have a blast” says Steward with a charming smile.